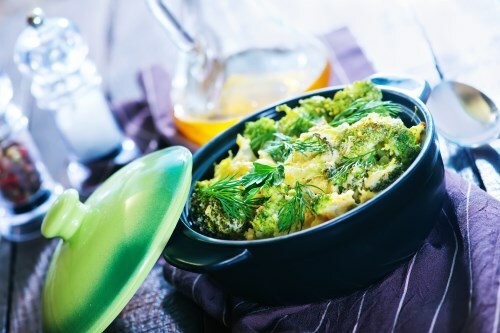 Add broccoli to the warm frying pan and cover for 2-3 min or until broccoli starts getting soft. Pour eggs over broccoli, add salt & pepper to taste and cook until eggs are fluffy and cooked through, stirring occasionally. Once cooked, serve immediately. Optional: Service with a low sugar hot sauce.